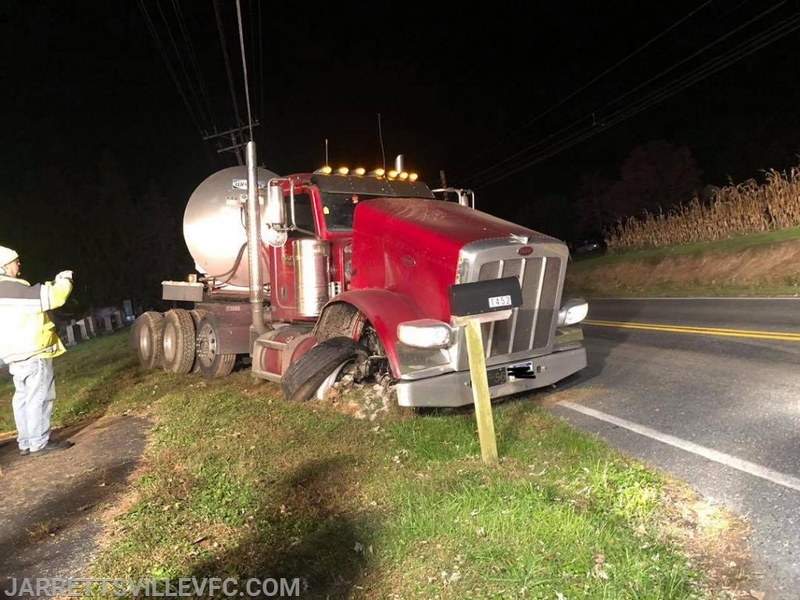 The Jarrettsville Volunteer Fire Company was alerted for a tractor trailer off the roadway in the 1400 Block of West Jarrettsville Road. First arriving units reported a tractor trailer off the roadway with an active fuel leak. Rescue 751 secured the leak while the Harford County Hazmat Team was notified. Crews remained on scene for a short time before being placed back into service.